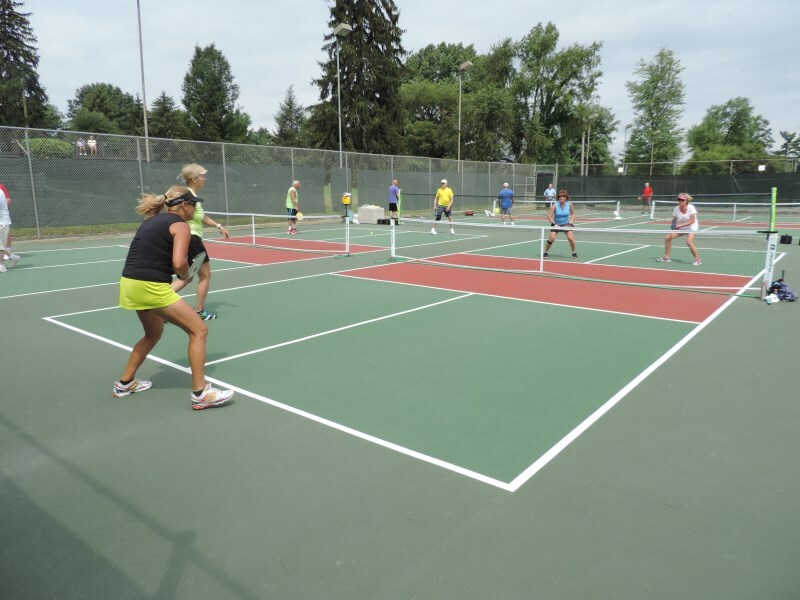 PickleBall is a lively racket game for all ages and abilities....and is now at the CCC! 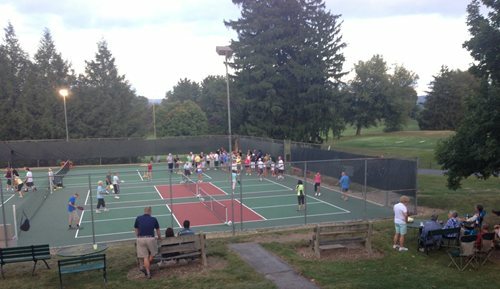 Franklin County's Only Outdoor Pickleball Courts! 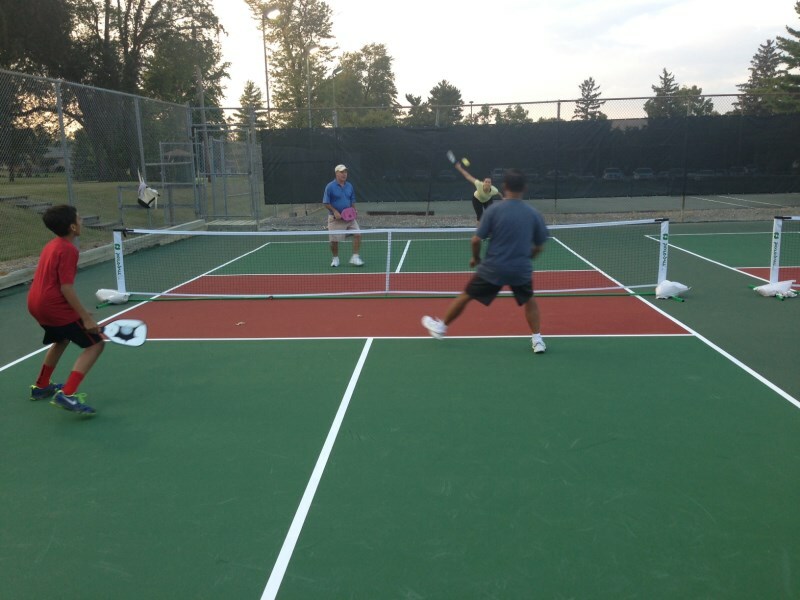 PickleBall was created with one thing in mind: fun. It was designed to be easy to learn and play whether you’re five, eighty-five or somewhere in between. PickleBall is traditionally played on a badminton-sized court with special PickleBall paddles, made of wood or high-tech aerospace materials. The ball used is similar to a wiffle ball, but slightly smaller. The lower net and wiffle ball allow the game to be accessible to people of all ages and abilities, while still allowing more competitive players to test their mettle. 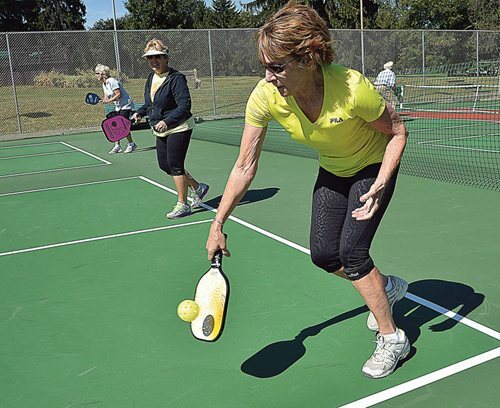 In addition to the modified net and gear, there are several key rules in PickleBall that help make the game more accessible. In tennis, and many net sports, games are often won and lost by the power of the serve. In PickleBall, the ball must bounce once on each side before volleys are allowed. This opens the game to more players and extends play for added fun. 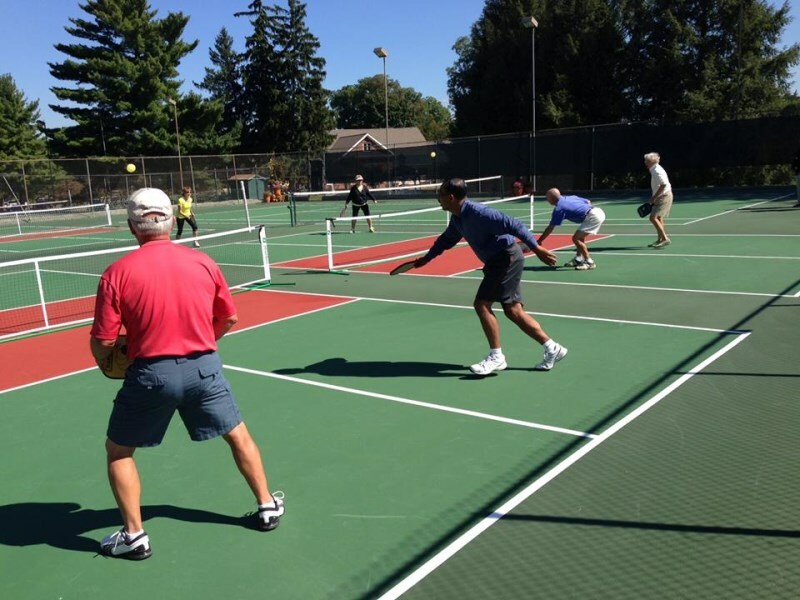 PickleBall was invented in 1965 on Bainbridge Island, outside Seattle, WA. 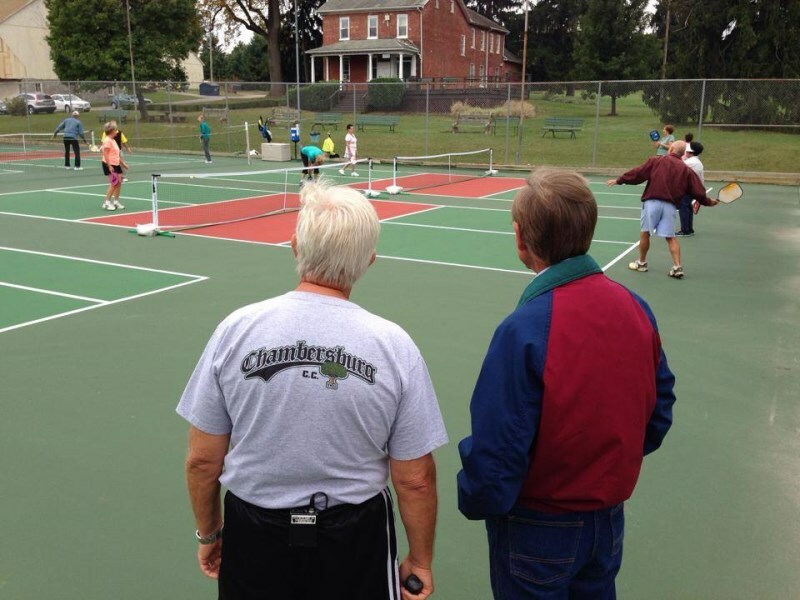 The goal of PickleBall then and now was to create a game that was as fun as can be for every member of the family.